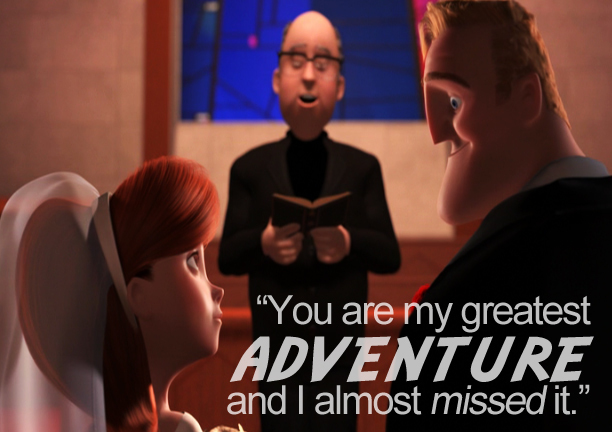 Share the post "30 Fun Facts About The Incredibles"
3. 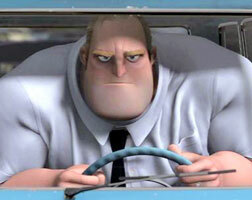 Bird conceived The Incredibles as a 2D, cel-animation. The mock-ups are shown in the credits. Bird conceived the idea while he was still working at Warner Brothers. Pixar courted Bird since 1995, hoping he would help work on A Bug’s Life. 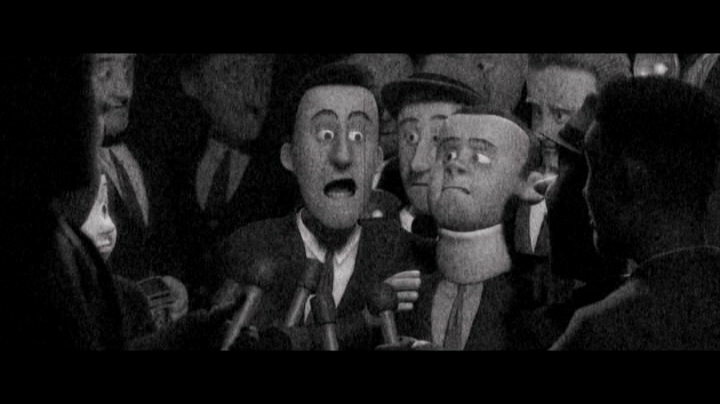 He later joined the Pixar team only after Warner failed to properly promote his film, The Iron Giant. Bird claimed he was partially inspired by Jim Steranko’s “Nick Fury: Agent of SHIELD” books. Googie is the 50’s space age style used in bowling alleys and diners of the era. Another form of Googie was the Tiki architecture featured on Nomanisan Island. The name was changed because the champagne maker wouldn’t allow the rights for the usage of his name. 8. The “I’m just getting a drink,” scene is a reference to Die Hard with a Vengeance. This scene mimics a similar scene from the Die Hard film starring Jackson, the voice of Frozone, in identical circumstances. 9. Mr. Sansweet is named to Steve Sansweet, who handles the fan club and memorabilia for Lucas Films. The real Sansweet also appears uncredited in The Phantom Menace. Vowell had never acted before and in order to convince her to take the part, Pixar animated one of her radio segments and sent it to her. 11. Brad Bird made voice actor Spencer Fox run laps in the studio to create and authentic out-of-breath voice for Dash. 12. 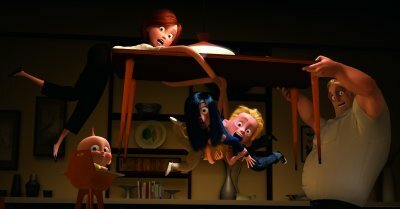 Jack-Jack is nicknamed after one of Brad Bird’s sons. 13. The “i’ stained glass window where the Parrs marry mimics Mr. Incredible’s 1st suit. 14. “My Greatest Adventure” was a DC Comics series featuring a four-member superhero team called Doom Patrol. One of the members of Doom Patrol was “Elastigirl,” who grew in size instead of stretching. 15. Dynaguy, Stratogale, Thunderhead and Metamin all attended Bob and Helen’s wedding prior to dying from suit malfunction. All four are seen late in the “No Capes!” flashbacks. 16. 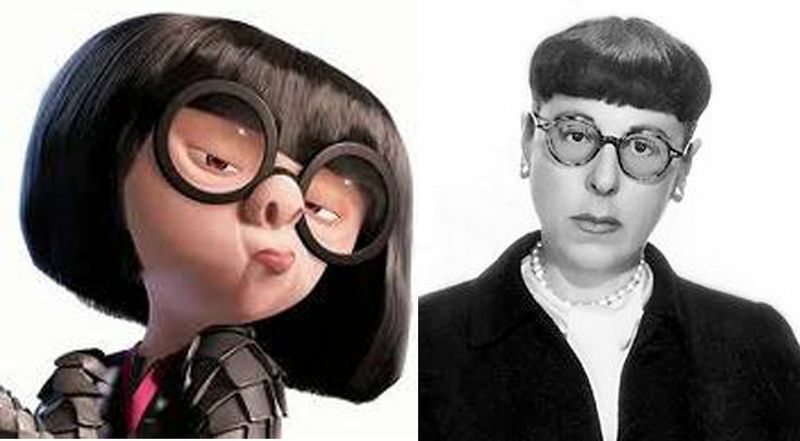 Edna is based on Disney studio costume designer Edith Head. 17. Writer and director Brad Bird voiced Edna Mode. He originally just supplied vocals on a temp track, but it was subsequently kept for the film. 18. Mr. Incredible parks outside Luxo Deli and Andy’s restaurant, references to Luxo Jr. and Andy from Toy Story. 19. When Mr. Incredible comes home from saving civilians from the burning building with Frozone, he hums the Incredibles theme. Also, all four wall clocks in his office are set to the same time instead of reflecting different timezones. 21. Mr. Incredible is held on floor A1, cell 13, a reference to an animation classroom at CalArts where many Pixar animators studied. 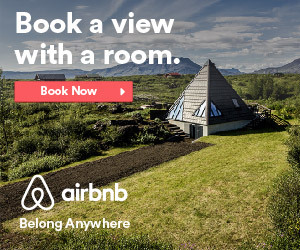 Also, the Omnidroid attacks Mr. Incredible in conference room A113. 22. The Jet that takes Mr. 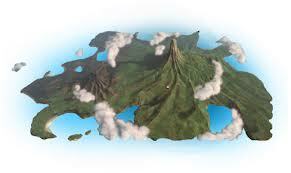 Incredible to Nomanisan Island is a reference to The Black Manta, enemy of Aquaman. Other DC references include: – The Danger Sign at Bob Parr (Mr. Incredible’s) cube: Captain Marvel’s lightning bolt with inverted colors. 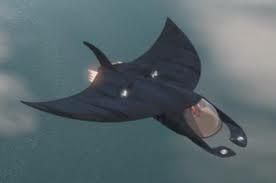 – The triangular emblem on Mr. Incredible’s new car resembles the Golden Age Superman symbol. – Gazer-Beam references to Cyclops (X-Men) and Daredevil. 24. Jason Lee was cast to voice Syndrome based on his performance as Azrael in Dogma. Lee recorded all his vocals in four days while it took Craig T. Nelson over two years to record his voice for Bob Parr/Mr. Incredible. 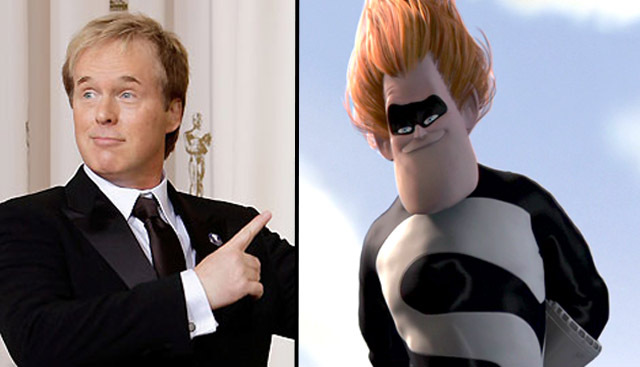 Originally, Syndrome only appeared in the opening scene, but Pixar animators responded to him so much more than the original villain (named Xerek), that they changed Syndrome to be the main antagonist. 25. The Pixar animators modeled Syndrome after writer/director Brad Bird. 26. Syndrome’s zero-point energy beam is based on the zero-point field physics concept. The zero-point field, demonstrated in 1948 via the Casimir Effect and essential to Stephen Hawking’s theory that black holes eventually evaporate. Harnessing the zero-point field would be quite a feat, as it would yield a virtually infinite source of energy. 27. Holly Hunter, the voice of Helen Parr/Elastigirl, learned military flight terminology to give the flying scene authenticity. 28. The Incredibles was the first Pixar movie to receive a PG rating. It was also the first Pixar film whose lighting was designed with LPICS, so lighting designers could view and make changes, and taking a tenth of a second to show a new image. 29. 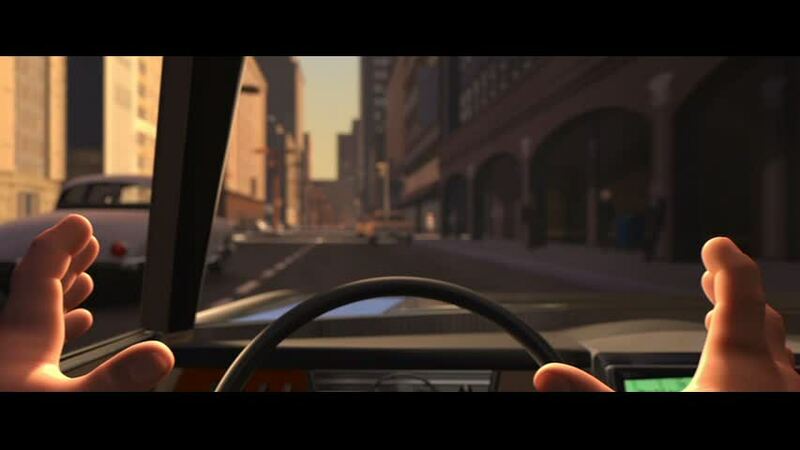 The Incredibles contains 35 explosions, 189 buttons being pressed, and approximately 640 gunshots. Mr. Incredible has super strength like The Thing, Elastigirl stretches like Mr. Fantastic, Violet turns invisible and creates force fields like Invisible Girl and Jack-Jack can ignite like The Human Torch. Dash is the only member without a power reminiscent to the Fantastic Four team. 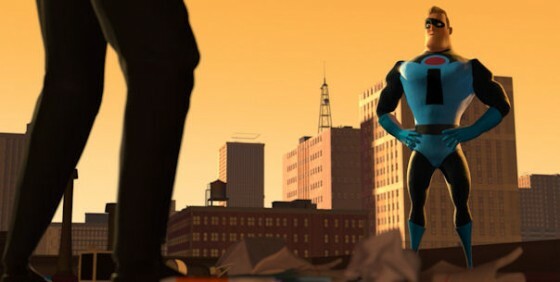 The Fantastic Four suits, blue with black details and a “4” emblem look similar to Mr. Incredible’s original costume. The updated Incredibles family unitards also bare a resemblance, but in red instead of blue. Also, The Underminer resembles Fantastic four villain The Mole Man.